When Shakers Vodka wanted to introduce their brand to the world, they came to us. After just a year, Shakers became one of the leading super-premium vodka in the world -- and our floor display won the Design Of The Times Best In Show award. 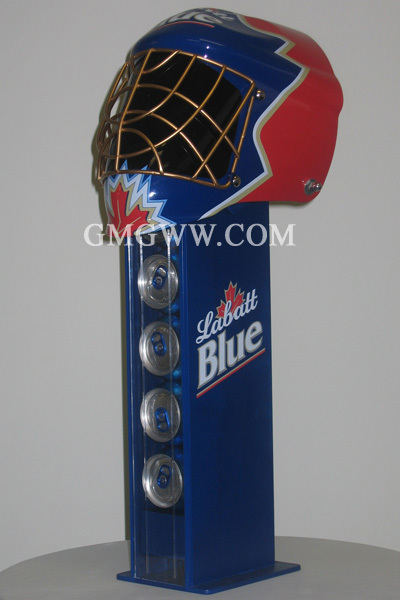 Labatt Blue loved our Hockey-Head Beer Dispenser so much, they went much further than placing it in stores. In fact, they created two nationally-televised commercials starring our display. Click the image and see for yourself! Our Design of the Times People's Choice Award winner was featured as “Best Gadget for Your Life” on Good Morning America. 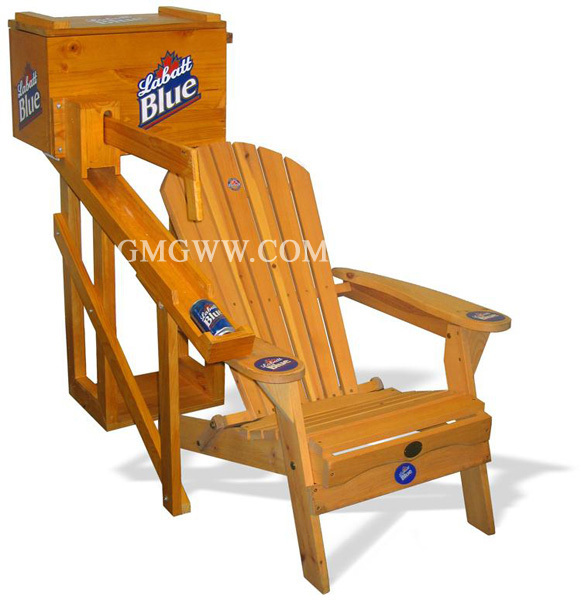 Click the image to see the chair in action! After watching, you may want one of your own.